Hi Deanna, thanks for coming in today. One of our listeners sent in an interesting question: What is it like to be married to an F.B.I. Agent? They don’t use the title Agent, they are all Special Agents. Actually it’s not really any different from being married to a police officer. I met my husband Ryan in kind of unusual circumstances – he was working undercover – so I didn’t really know who he was when I fell in love with him. That was difficult because I thought he was killed and I really never dreamt that we’d be together again. Oh wow. That must have been hard. Does he go undercover a lot? Fortunately he doesn’t get many undercover assignments anymore. There are a lot of times he can’t speak to me about his work especially if he’s involved in an investigation. I had to learn not to keep asking him too much about his work. Does he spend a lot of time away from home for work? Most nights he comes home to our little ones and me. He is based out of a local office and he does most of his work locally. You get assigned to an office but once you are there, you usually remain in the same place for a long time. Once in a while he has to go away for a few days for a special investigation or a training exercise. Is there a lot of danger? Are you worried that he night get hurt? Sometimes he has to deal with some bad people and there is always a danger. But there is a lot of his work, like many law enforcement people, that happens at his desk, he hates paperwork. The day that we got married Ryan was in a wheelchair because he had gotten hurt. I’ve learned to count my blessings each day he comes home to me in one healthy piece. Do you have any advice for someone who wants to marry an F.B.I. Special Agent? Understand that your husband, or wife, may get moody sometimes because they are working on a case and they really can’t talk it out in front of you. They are under a lot of stress so it is good if you try to keep calm and happy. It’s also real important that they stay fit and healthy, that you can support them a bit and help them live a good lifestyle. My daddy gave me advice early in my marriage – he said to see if I could speak to wives of other F.B.I. Special Agents. There is a lot of support within the families, it’s a little bit like military families. That was the best advice I ever got. Deanna did her mourning in private. The police psychologist suggested that she speak to a counselor. No one understood. A few nights after she was home, Deanna had a dream about Ryan – she was in his arms. Her mamere was in the dream too and she was happy that Deanna was with Ryan. She knew that Ryan was meant to be her soul mate, she just couldn’t understand why it was over so soon. Her dream mamere told her that the best was yet to come, but when she woke, she was confused. Although she had to make a statement for the District Attorney’s office about the bank robbery, they had kindly allowed her to give a taped deposition. She was extremely relieved not to have to face the surviving kidnappers again. The DA assured her that the bank robbers turned kidnappers would be put away for a long, long time. To her dismay, she learned that the robberies they staged were used to help finance suspected terrorist activities. She still couldn’t accept that Ryan had been involved in something like that. Fortunately Rob let her come back to work. He told her he understood that the loss of the money wasn’t her fault. Then he told the police, the F.B.I. and his insurance agency that the loss was twice the actual amount. Deanna kept quiet and she felt guilty. But she was desperate to hold onto her job. She had told her parents about the bank robbery but not the kidnapping. Deanna knew they would have made her come home if they had known the whole truth. Rob told her how worried he had been when he got the phone call from her kidnapper. He said he prayed for her safe return to him. He became possessive. Deanna found herself working with him more and more, he scheduled her work hours closer to his own. She briefly suspected that he might not trust her alone with the cash register. Then Rob made it clear that he wanted to be with her. Deanna suspected that his ultimate plans included a more personal relationship. There had been several unsolicited invitations for a quick bite to eat or more after work. It wasn’t long before he stopped being subtle. The feeling wasn’t mutual, but Deanna decided she had to move on or she would never recover from her all too brief love affair with Ryan. Ryan was gone, she was still alive. Rob was there and he didn’t hide the fact that he wanted her. He had more than once offered to comfort her after her terrible ordeal. Despite her denials, he let her know that he suspected she had suffered after she was held hostage by four men for several days. Rob said he wanted to help her heal her wounds. Before this, Deanna had never considered the idea of involvement with Rob. He was her boss, but he kept planting the seed in her mind. She accepted his dinner invitation for that Saturday night. She tried to concentrate on her work for the rest of the week, but she couldn’t ignore the nervous twinges in her gut. It was enough to get her sick and she left work early on Friday and stopped by the clinic on her way home. Rob had given Deanna Saturday off and teased her that she would have all day to get ready for their date. Deanna got herself dressed and was standing in front of the bathroom mirror when she burst into tears. She had been in control ever since the doctor told her that she was expecting the day before but after having all day to dwell on it, Deanna was scared. She had no idea how she was going to be able to manage; certainly she would have to stop sending money home to her parents. 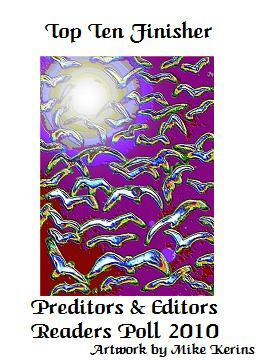 This group is an announcement-only list of people who would like to receive e-newsletters from author Chelle Cordero. 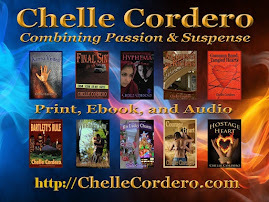 These e-newsletters concern news about new releases of books by Chelle Cordero, major articles, appearances and other author events. All blog posts here are sent directly to your mailbox so you won't miss a thing. This group is not a discussion-style chat loop through which members can start new topics. However, folks who receive these newsletters can respond and discuss my postings, and people signed up for these e-newsletters can email Cordero directly at ChelleCordero@gmail.com with new topic ideas for discussion. Members can access (& download) files, photos and the calendar. Members receive special offers too! 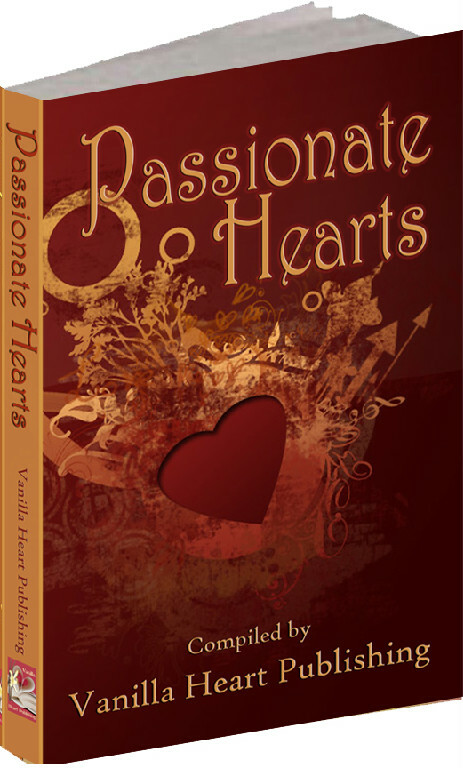 Right now join ChelleWrites and a link to a FREE download of the Vanilla Heart Publishing Love & Chocolate Anthology will be sent directly to you - those who are already members can access this information in the exclusive files section of the group. 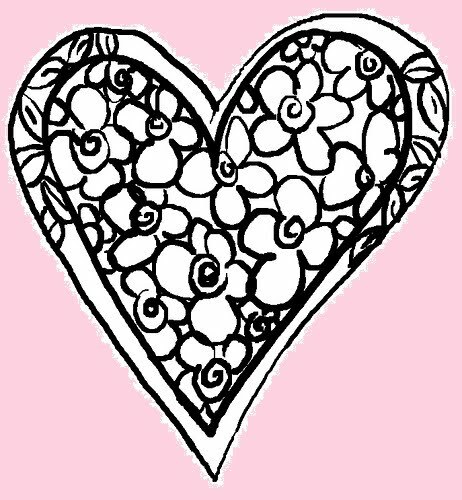 Kimberlee Williams, the managing editor at Vanilla Heart Publishing, certainly makes sure that our books are available at numerous outlets - one more place you can get my books, in ebook form, is the Sony Reader Store. Layne Gillette's world is turned upside down when a man she has never met shows up to lay claim as the father of her 6-year old son. Justin, the victim of a fraternity prank, and Layne, the subject of a forced insemination, have produced a beautiful child that they are both willing to protect at all costs. The two parents realize they can love each other, but when Layne's abusive ex-husband shows up, they are torn apart by danger, kidnapping and lies. Justin won't give up until Layne is returned to him. Layne uses her new-found strength, courage and knowledge to defy Charlie's ugliest demands. 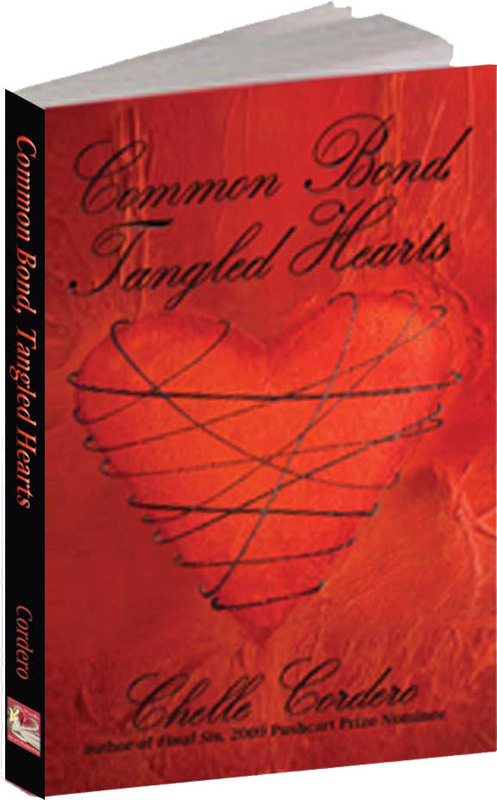 There are three reviews for Common Bond, Tangled Hearts listed in the Reader Store; one review is only 2-stars because "It reads like a Danielle Steele book" and the reader is not fond of Danielle Steele. However, Danielle Steele has always been one of my favorite authors so I am really flattered at the comparison! The other two reviews are 4-star and 5 star (not bad!) and has statements such as "Layne and Justin clearly love the child, and this comes across well in Cordero's tender yet suspenseful prose. And when Layne's hurtful and scary ex - who I hated as soon as Layne started to talk about him!! - shows up, I flew through the pages to see what happened to this realistically written couple." and "There are so many unexpected twists, it kept me turning "pages" to find out what happens next. I loved the ending, but I won't give it away. Great story!" read thru to the end for a chance to win a free book! 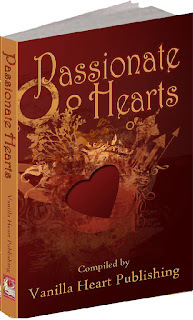 In a romance novel love is hot and spicy, it's romance that can melt your heart with a hero every woman wants for herself and a heroine that is real, human and certainly not a pansy. 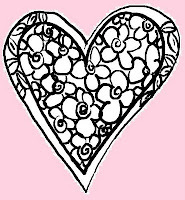 Romance novels are my personal favorite to read AND to write. Sam buried her face against his jean-covered thigh and sobbed quietly. Ben stroked her shoulders gently until he thought she was asleep. He felt the hand she had resting on his thigh start to tighten when he began to pull away, so he sat there and leaned his back against the headboard. She slept with her head in his lap. He closed his eyes and allowed himself to rest. Hours later Ben woke. Listening intently, he was satisfied that the night sounds were as they should be. Then he watched the woman whose head was in his lap, her hand was precariously close to starting a reaction that he knew would test his will power. His words were barely audible and his expression was bleak. “Sam, I wish you would tell me why you left. I know that it had to be more than the money. I knew you. I loved you.” He stopped to swallow the lump he felt in his throat. “I looked for you when I woke. I called your name. I cried for you.” That was the only time Ben had ever let someone see him cry. “I needed you so bad.” He was scared he still did. He didn’t mean to wake her but his touch became more forceful and she began to stir. Sam opened her eyes and smiled for him. Ben felt the jolt go through him. She twisted to lie on her back, her head still resting on his leg, smiled again and closed her eyes. Ben felt as if his body was on fire. He worked at keeping his breathing steady and slow. There was no way he could get any more sleep, not with her so close to him, touching him. He fought the need to just lean down and kiss her. He fought the need to run his hands over the curves that haunted his memories. There was definitely no more sleep. It was almost daybreak when Ben’s cell phone rang. The jingle of the phone woke Sam and Ben breathed a sigh of relief when she sat up and broke contact. He brought the phone to his ear and mumbled into it and nodded in earnest. Sam sat up and watched him. 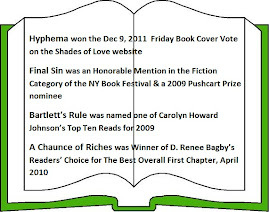 Adapted from the successful Amazon Kindle blog (http://bit.ly/pILcG), welcome to Living. 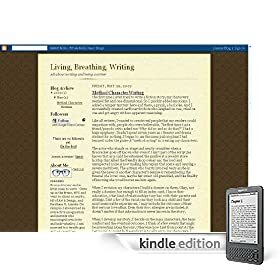 Breathing, Writing: A Lesson a Day "the Book".